This is a hard post to write. I have been privileged to serve Tree of Life since August 2012. It has been a real joy to be part of this congregation’s development at such a pivotal time. Your lay leaders and I have worked hard over the past four years to professionalize the administrative life, enrich the worship life, deepen commitment to shared ministry, and celebrate the arts at Tree of Life. There have been a lot of changes over these years. And now there will be one more. I have resigned my position as minister here and will be moving on. My last Sunday with you will be October 2nd. After that, I will be away at a Ministers’ meeting and taking the last part of my vacation. My final official day as your minister is October 15th. When the Board of Trustees asked me to consider resigning, I felt a lot of things. I looked back with joy at so many ways we have experimented and grown: by becoming a teaching congregation to three interns, by creating the Haystacks Coffee House, Cabaret Church, and experimenting with more music in worship with “The Church of____.” At the same time, I felt the tension of differing goals, styles, and approaches to ministry. I talked to a lot of trusted people, including colleagues, Regional and UUA staff, and friends. Having consulted with so many wise souls, I came to the difficult decision to accept life’s invitation to adventure and move on. Tree of Life will continue on as well, working to clarify your mission and envision a future as a liberal spiritual community in McHenry County. Even though all will be well, there will be a time of adjustment. Change is challenging and the congregation will likely cycle through a lot of emotions. There may be anger, depression, and a feeling of betrayal, or renewed connection, even relief. Sometimes all of these happen at once, and that can get confusing. Especially in groups, different people may be feeling very different things at the same time. At these times, it is important for everyone to find the most compassionate place within themselves and to lead from that place. To trust that everyone is doing their best, and avoid blaming or shaming each other. To remember that even if we disagree on how to do it, everyone is still trying to protect and nurture the congregation they love. There are some rules about how ministers leave. These rules come from the wisdom of thousands of ministers and congregations with decades of experience. The most important of these is for the minister to really leave–to be thoroughly gone from the life of the congregation–in order for everyone to move on. To this end, I will be ending contact with members and friends of Tree of Life for some time (at least three years, but maybe longer depending on when you find your next minister.) Even for the time I remain in Woodstock, I won’t be talking with, providing pastoral care for, or continuing connections in person or on social media. This will help us all move on and will, in particular, help make room in the congregation for whatever minister may come next. Our intern ministers, Misha Sanders and Michelle Lattanzio, will also be moving on to other teaching congregations and teaching pastors. They will be immersed in getting to know their new congregations and designing and implementing new leadership projects in those places. They too, will limit contact with members of the Tree of Life community, so that they can engage fully in their new adventures. Their time at Tree of Life is not wasted, but will enrich and broaden their understanding of congregational life and systems. If you are proud of this church, become its advocate. If you are concerned for it future, share its message. If its values resonate deep within you, give it a measure of your devotion. This church cannot survive without your faith, your confidence, your enthusiasm. Its destiny, the larger hope, rests in your hands. Amen. Ashe. And Blessed Be. Once upon a time, there was a congregation. It had been around for many years, 150 to be exact, and in that time it had a lot of names and did a lot of work, and sometimes it thrived and sometimes it struggled. In the times that it thrived, buildings were built and good works were accomplished, and sermons were preached, and people were happy. And in the times that it struggled, there were always people who kept on, doing what they could to keep the building from falling apart, helping with Sunday services, and holding onto hope. And every time the congregation struggled, it also grew stronger, more tenacious, and eventually, more loving. Through all this, there was one constant. The people of the congregation loved music. They sang and they played and they listened and they learned and they loved the music that came from their own hearts and they loved the music that they made for each other. Not only that, they offered whatever music they could to those outside the congregation, and they did it in a way that spread music and love and justice beyond their own walls. They became a Paradise people, committed to bringing a little bit of heaven right down to their tiny corner of this earth. They worked hard, they practiced hard, they had fun, and music held them together. The walls of the congregation rang with music and the hearts of the people were full of music: from the saddest songs that made them cry to the ones that made them laugh and shout and smile and dance together through times of folly and times of fantastic success. When nothing else was going well, they relied on music to restore them, to keep them connected and to keep them going. They found amazing musicians to lead them, to teach them new songs, to show them how to practice, how to lay aside their differences and sing together, to create harmony. They learned that music was not just something for fun, not just an extracurricular activity, but was the core of who they were when they were at their best, a way to build relationships that sustained them all, a way to BE the congregation they wanted to be. In a real way, the congregation was made of music: of the songs, but also the singing; of the way they worked together, even when things sometimes went wrong. Together, they sang. They played. They listened. They learned. They composed and arranged and soloed and jammed and invited everyone to come, be a part of the music. Come to the coffee house, to Cabaret Church, to choir practice, to the concerts, and come every Sunday, to sing the hymns, to listen to the offertory, to soothe and encourage and uplift the soul. In each generation, the congregation learned a new song. A new leader came forth and showed them the way. In a very real way, music held the congregation together and helped it thrive. Today, we are not the house that only one person built. We are the house that music built. So when you see someone here that has made your heart sing, has built this congregation with their commitment, talent, and hard work, who has played an instrument, or run the sound system, or sung a song, remember that they are part of what built this congregation, they are a part of the house that music built. Take a minute and tell them thank you. 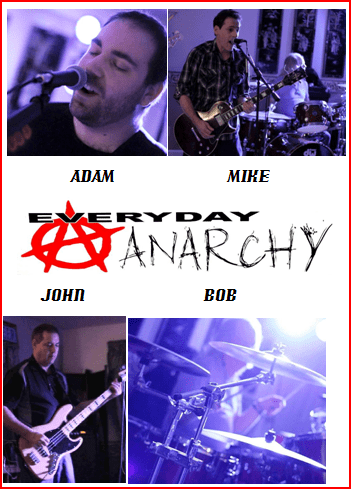 Today we welcome Everyday Anarchy, a local band, to our sanctuary to immerse us in the power of rock music. Drawing from a wide variety of artists, we will celebrate the music that changed and keeps changing the world. April is here and it’s already been wild. Thundersnow and blustery winds, sunshine and daffodils–sometimes at the same time! Living in the prairie midwest is exciting, beautiful, and sometimes strange. The seasons are a paradox of predictability and surprise. There is never a lack of things to experience, witness, and talk about in our little corner of creation. We’ve already been busy here at Tree of Life, with the amazing Haystack’s Coffee House, our clean-up day that made the building sparkle, and The Church of Vivaldi: Spring filling our sanctuary and our souls with beautiful music. And we have so much to look forward to: April 10th’s service (by members of the Worship Arts Team) about Feeding Your Creative Spirit, the Western Crescent Choir Festival that same afternoon in Rockford, and on the 17th. an Earth Day service that includes one of our favorite traditions: the Flower Ceremony. We will also be celebrating our Sesquicentennial (that’s 150 years!) the weekend of April 23 – 24th. The weekend will include a tour of our former building (now the Blue Lotus Temple in Woodstock,) an Open House at our current location with displays about the congregation’s history, a Gala Dinner and Celebration with music from each decade, and a Sunday Service and Celebration with special guest preacher, Rev. Barbara Merritt, who served the congregation from 1975 to 1982. As we hope you have heard, April also marked the launch of our new Year-Round Giving process. The first letters have gone out and the first pledge has been received! Our hope is to emphasize generosity, gratitude, and community by shifting our focus and our process. Each month, we will be in conversation with approximately one twelfth of the congregation, communicating the congregation’s needs and vision and asking for a pledge of financial support. As pledges come in, volunteer Pledge Captains will acknowledge and thank our givers personally and follow-up by hosting a small thank you event that will do something else that means a lot to our members: create an opportunity to build relationships and community. The most important question we can ask ourselves and each other is “What would be missing if there were no Tree of Life Congregation?” What would be missing in our own lives, in the communities around us, and in the world?The answer to this question helps clarify the purpose and mission that Tree of Life already fulfills. It may also help us see what is missing—how we could be even more connected and relevant as we move forward. We hope the Year-Round Giving process will be a positive and creative way to help people understand how important Tree of Life is in their lives and the larger community and respond by giving. We also hope that the changes we’ve made will relieve some anxiety and free up a lot of volunteer time and energy for other fun projects and programs. We will be evaluating the new process regularly and “tweaking” as we learn what is most effective and meets the needs of the congregation. We’re approaching the changes as a grand experiment based on research and “best practices” in the not-for-profit and church fundraising world. April will also be a full month for me, as I travel to the first-ever Retreat for Transgender UU Religious Professionals. This is an event that several of us have been working to make happen for almost fifteen years. Of the 32 transgender religious professionals we are aware of in the UUA, 18 will be attending, along with 2 UUA staff members and an outside facilitator. I will be in California from April 9 – 16 for this event. This month is full of so many good things–music, celebration, history, creativity, and community! Let’s celebrate together! Music is really the heart of Tree of Life. Our nearly thirty-member choir loves to sing all kinds of music. The talent in our congregation is deep and wide, from bluegrass to opera to rock to classical. We have three Haystacks Coffee Houses a year and have launched “The Church of ______” –Sunday services that explore the power of music. This year we’ve enjoyed The Church of Ellington, The Church of Folk (feat. Joe Jencks), and will soon hear The Church of Vivaldi: Spring, and The Church of Rock. Please share this with anyone you think would enJOY leading our music program. In order to know the answer, I think each of us has to take time to look at our life. Have we allowed ourselves to become creatures of habit, living by rote instead of by intention? Have we begun to worry so much about what others will think that we make choices based on fear instead of our real desires and self-knowledge? Have we gotten stuck in unhealthy patterns, even addictions? Do our lives reflect our actual values and passions, or something else, dictated from outside? We also have to look at the ways we might be a force for liberation beyond ourselves, which can sometimes be tough. What are the things that keep us silent when we could speak out for another’s liberation? Are we more afraid of what will happen if we do speak out than what will happen if we don’t? Has cynicism gripped us so tightly that we don’t even believe we can make a difference? Are we afraid to make a mistake? Do we worry that if we rock the boat we will end up alone? One thing I know for certain about liberation is that it is far easier to create together than alone. Liberating one’s self, without companions along for courage, strength, and accountability is almost impossible. And liberating our world from greed, prejudice, and hatred is going to take us all–a whole movement of people dedicated to collective liberation. We say it often: No one is free until all are free. What does it mean to live it? I invite you to talk to me, any member of the board, or each other about what you’d like to see Tree of Life do as a first step to being a people of liberation. Supportive small group ministry? Putting up a “Black Lives Matter” sign? Work to alleviate poverty and homelessness in McHenry county? Let’s get liberating! Here is a link to the fantastic Soul Matters resource packet on Liberation. After spending all of January commuting to and from downtown Chicago, I can tell you that I am very excited to welcome Spring! I have been happy to get back into the groove of life here at ToL, after having been mostly absent from worship and office time for a month. It seemed very long. My learning time at Meadville Lombard was wonderful, deep, and at times exhausting. And I loved every minute of it. Well, almost. The first class I attended was taught by our Meadville President, Rev.Dr. Lee Barker, and it was called, “Ministry in a Post-Denominational Age’. It addressed many questions with which Unitarian Universalism, among other faiths and denominations, is struggling. How will we grow? Does church still matter? How can we attract youth? How will we fund our programs? How relevant is our message in a world where other faiths are becoming more liberal? What can we try differently to infuse new energy and commitment? As is the UU way, you won’t be surprised, we came up with far more questions than answers. It was interesting and exciting to brainstorm possibilities and learn from what is being done successfully already in our faith movement, and in the wider religious world. Then came Unitarian Universalist History and Polity. And a lot of knowing nods and smiles from those of us who had just come from the class I described above. I learned that Unitarians, Universalists, and UUs have wrestled with the same questions for as long as we have existed. And the take-away? We’ve always figured it out. We have survived and thrived. New generations of religious liberals have continued to emerge and grow in faith, and change the world for peace and justice. I am so inspired and honored to be among THIS moment’s UU torch-bearers. I continue my school work for Spring semester, and am focusing on co-leading our awesome Coming of Age group here at ToL, as well as preaching here and in a few other pulpits around the region. I am eager to keep growing and learning with you all. Thank you for letting me! I’m writing to you all with an update on my internship activities and my seminary work over this winter. I am excited to share insights gleaned from my class work and to explore my formation process with the congregation. I am, as ever, grateful for the support of everyone here as I grow into ministry, and I thank the congregation for your sponsorship of me as a candidate. January was a very busy month for me. I completed my second unit of Clinical Pastoral Education (chaplain intern at Advocate Good Samaritan Hospital in Downer’s Grove) and that same day drove downtown to meet in person for my winter classes. I took two classes, Preaching As If You Mean It, and Religious Education in a Changing World, and learned a great deal of practical and theoretical information from both courses. The preaching course was taught by Bill Schulz, and we were asked to each write and preach two sermons in front of our class. The sermons were video recorded for our later review, and afterwards Bill and our classmates gave us feedback on our preaching style and content. I received great feedback in class and really appreciate having the sermons on video to review. The second class, Religious Education, was taught by Mark Hicks, and focused on Unitarian Universalist faith formation over a lifetime, not just during youth and adolescence. We learned about the various types of resources available through the UUA (Tapestry of Faith, OWL and COA, and others), and additional formats for faith formation (like Spirit Play). We focused on collaborative learning models and ways to engage people at all ages in our congregations, including seeing the work in action in a field trip to observe Unity Temple’s religious education classes. Since my return, I have been involved in the Coming of Age program here at Tree of Life and have been enjoying putting my learning into practice! I co-led a Vespers service at Meadville during our January term with two other seminarians that was pagan oriented. Our service focused on the pagan holiday of Imbolc and the significance of the goddess figure Brigid. This holiday is also known as Candlemas in Christian traditions, and in our service we recognized both versions of the holiday, including Brigid’s dual nature as a goddess in pagan traditions and a saint in the Christian tradition. My fellow worship leaders and I formed a new student organization on campus that officially began with our vespers service: Meadville Pagans and Allies, which supports pagan-identified students, faculty and staff and their allies within the Meadville community through various means, including pastoral support during intensives, worship services, and other modalities. My next round of intensives is in April for spring semester, for which I am busy studying now. I look forward to writing another update after the spring term ends. Thanks again for all of your kind support, and I’ll see you at church! Here is a list of 2016 Winter Spring Events happening at Tree of Life. This list is just part of the exciting ways you can get involved in the life of the congregation. I had to laugh when I saw that the Soul Matters theme for January was resistance. So much is changing–in the world, in our lives, and at Tree of Life–and resistance is so often our response to change. It’s a good thing, I think, for us to take a look at resistance and try to see how it helps and hinders us in this changing world. So much of the media is full of fear-mongering, scapegoating, and even hatred as politicians, parties, and ideologies jockey for power. It seems like many in our nation and in the whole world are afraid and keep looking for ways to keep things the same. It’s hard to admit that the old systems are beginning to fail us. It’s scary to wonder what will happen if we cannot trust the way things have always been. It’s what we know. The new movements for social and environmental justice that are emerging are both a cause and effect of these changes. Climate change is real and people are beginning to wake up to the possibility of devastating consequences. Social media makes us aware of the brutality with which police have long treated Black people. We see the faces of refugees in ways we did not just a few years ago. We see them and we are changed. And that can be uncomfortable, even painful. Some people are motivated by these changes to try to make a difference. We’re seeing new efforts–at the grassroots and beyond–that call for a more just, equitable, and compassionate way. As Unitarian Universalists, we recognize that call. But we may also be uneasy with the anger behind it or the lack of clarity about how to get from here to there. All of this is resistance. At Tree of Life, we are working hard to understand and respond to the changes all around us. We are looking at the research, asking a lot of questions, and trying to respond to the trends and the needs in our world, including us. We are creating new ways to be together and new ways for our Sunday service to uplift us. We are also creating new systems that acknowledge that people’s lives are changing and are often so full that they don’t have the time to volunteer. We’re trying to adapt, and that means we have to experiment with new ways of doing things. Tom Steffens and I are excited to begin collaborating on a new kind of worship service that we’ve been dreaming of for years. Four times between January and May, you are invited to explore the power of music with us during our Sunday morning Service. On January 24, we kick off our “The Church of _______” series with The Church of Jazz: Duke Ellington. In February, we’ll have The Church of Folk, featuring Joe Jencks. In April, we will celebrate classical music and in May, we are hoping to unveil The Church of Rock. At each of these services, music will take center stage. Professional musicians will share their talent, interwoven with readings, quotes, and commentary on the artist, the genre, and the message of the music. We know that music touches a deep place in us and we hope that this new way of worshiping together will be moving and inspiring, as we look at all the changes in the world and hope to be transformed as well. The next big change you’ll be seeing is to the way we ask you to support the congregation financially. Instead of relying on volunteers to create, manage, and implement an Annual Pledge Drive, we are creating a year-round system. (Click here to read the proposal the Board approved.) Our administrator, Mila Brinker, and I will take the lead to set up the new system. Each month a group of members, friends, and other donors will receive information about the congregation, our financial needs, and the possibilities of growth through generous giving. A volunteer Pledge Captain will help follow-up by paying thankful attention to our givers: expressing gratitude, answering questions, and hosting an event for that month’s givers. We hope this new way of doing fundraising will free up much of the time and energy of our volunteers, as well as ease anxiety. Instead of the past process that started each year from zero, we’ll start with the idea that our givers are going to continue to support the congregation and will give a little more each year to absorb rising costs and grow our programs and mission. After all, this congregation has been around for 150 years so far. We’ve decided that trust and gratitude are a better way to start our fundraising! We hope you think so too. As we continue to adapt to a changing world, we hope you will continue to be involved at Tree of Life however you can. If you are interested in the way congregations and their leaders are learning and growing together, you’re invited to join us for Reinventing Church Leadership–a cluster-wide workshop hosted by our congregation in Elgin on January 30th. The day will feature workshops, projects, and a keynote address by Rev. Nancy Bowen, Regional Lead of the Pacific West Region of the UUA, called Making Meaning while Evolving and Adapting. The cost for the day, including lunch, is $15. P.S. Here is this months packet of resources on Resistance. During the holidays, we often encounter expectations of jolliness and cheer that may not ring true. The pressure to act merry can make this time of year difficult. 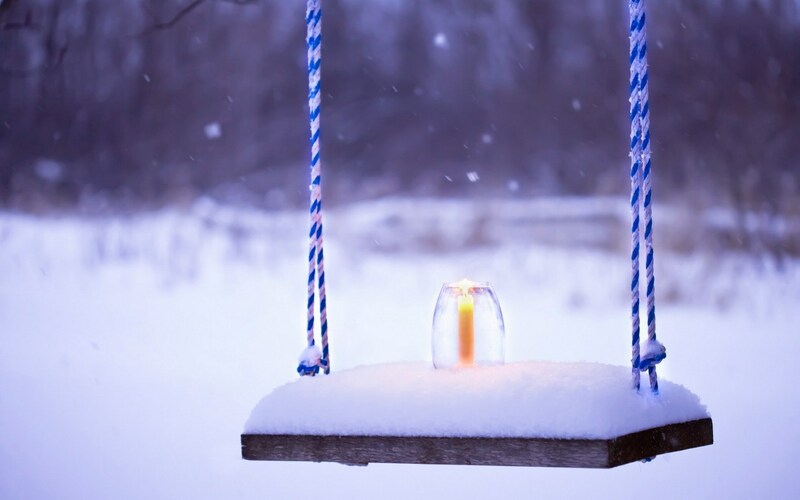 Grief, depression, poverty, and difficult family situations are just some of the things that can make the short days and long nights of winter particularly difficult. This year at Tree of Life, we will offer a time to acknowledge some of the mixed feelings and pressures of the season. This “Blue December” service will focus on music, sharing, and the power of community to help us make it through hard times. Join Tom Steffens, Cassandra Vohs-Demann, and Reverend Sean on Thursday, December 17th at 7 p.m. for this gentle, hopeful service.